Richmond has an incredible smorgasbord of tasty food courts to dive into, many of them serving authentic international dishes and offering great value for your dining dollars. But while the courts at Aberdeen Centre, Lansdowne Centre, CF Richmond Centre, and Parker Place have lots of fans, some locals (and savvy visitors) regularly beeline to the lesser-known President Plaza. Located just steps from Aberdeen Canada Line Station, this fancy-free upstairs food court has the chatty feel of a Singapore hawker market, complete with independent mom-and-pop stands serving a surprisingly diverse array of tempting dishes. With time to spare and an appetite to sate, we dived in and sampled some of the best options at the dozen or so stands. Northern Chinese is the approach at the O&apos;Tray Noodle stand, located just to your right as you step off the escalator. And while the menu—with dishes from noodle soups to a succulent little beef-packed burger—has handy English translations, the friendly staffers are also more than happy to recommend some of the dishes that regulars have come to love. Don’t miss: the utterly delicious jianbing is a warm, savoury pancake wrap with crispy edges that was originally created as a regional breakfast staple. 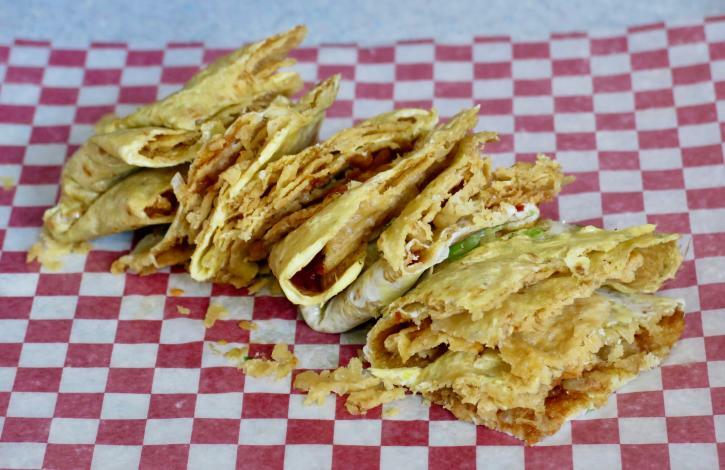 Flavoured with chopped green onions and sweet and spicy sauces, then folded in on itself (they’ll also slice it into sandwich-like triangles if you’re sharing), it’s an eggy comfort food classic that quickly wins over many first-time President Plaza visitors. A busy, Beijing-flavoured food stand (there are often line-ups here during the lunchtime peak), this one specializes in northern Chinese comfort cuisine. And while the menu includes congee, dumplings, and steamed buns, the trick is to always add a fried, bannock-like Beijing doughnut as a tasty side. Keep in mind that if you’re sharing, there will likely be a fight over the final bites of this chewy bread treat. Don’t miss: the perfect accompaniment to your Beijing doughnut bread, the silken tofu soup at Chef Cong Cong has a delightfully velvety texture and is suffused with a wide array of flavours—including soy, cilantro, pickled vegetables, and black fungus. It’s a fortifying treat, and you might want to add a second doughnut to mop it all up. Metro Vancouver has seen a recent surge of new vegetarian eateries that are just as enticing and satisfying to meat-eaters. But this unassuming stand has been effortlessly achieving the same result for years with its huge array of dishes, many with veggie ‘beef’ and veggie ‘chicken’ ingredients. Not sure which dish to try? Check out the handy gallery of photos dominating the counter. 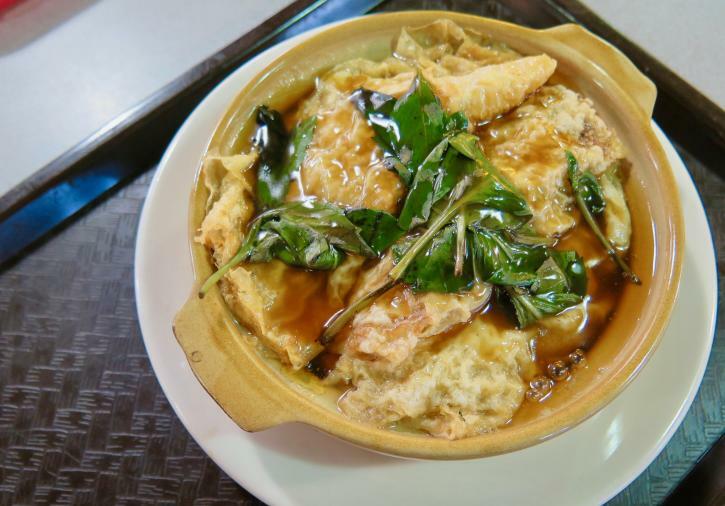 Don’t miss: the vegetarian BBQ ‘pork’ and ‘beef’ stir-fry dishes are popular at Ji Xiang Vegetarian Cuisine, but the golden mushroom with tofu skin hot pot is one of this stand’s top sellers for good reason. Hearty, brothy, and echoing the fortifying consistency of Ukrainian cabbage rolls, it’s the perfect dish if you’re starving or there are two of you sharing. Breaking the pattern of Asian food stands here, this friendly, family-run Persian-Iranian eatery has been immensely popular since its 2017 opening. With an enticing array of colourful dishes—“Your eyes always eat before your mouth,” twinkle-eyed owner Tila Akhavan says when we order—menu favourites include succulent kebobs and veal-infused eggplant stew. Vegetarian options and Persian tea are also on the menu, while sweet-tooth fans should also sample the excellent baklava. Don’t miss: A rainbow of colour, the kubideh platter at AnAr isn’t just about good looks. This hearty top-seller includes two skewers of juicy lamb and beef served with a grilled tomato, side salad, saffron rice and stuffed olives. Its feast-like proportions also make it a great dish for sharing. Popular with in-the-know locals, area office workers, and guests from the adjoining Radisson Hotel Vancouver Airport, President Plaza is located at 8181 Cambie Road. A few steps from Aberdeen Canada Line Station, hours vary here—they mostly cater to the lunch crowd—and some stands have their own closing days. Lunchtime is often crowded, so consider dining off-peak (especially if you’re keen to snag a table). Not sure what to order? English is spoken well at most of the stands: just ask what the most popular dishes are and dive right in.